All of the STRIKE trainers have had an incredible amount of success taking players to the next level. When a parent signs their players up for STRIKE, they can be certain their son is going to get top level instruction in all facets of the game as well as being able to be prepared physically and mentally for what lies ahead. Check out our trainer bios and Contact Us to sign up! Daniel is the owner of the STRIKE program and graduated from Lewisville HS in 1999. In his time there Daniel was honored with a number of honors including All-State, All-Region, and Honorable Mention All-American as an outfielder and first baseman. In his senior year, Daniel was drafted in the 27th round by the Chicago White Sox, but instead accepted a baseball scholarship to the University of Texas Arlington to join coach Clay Gould in his quest to put the Mavericks on the college baseball map. While at UTA, Daniel was fortunate enough to start every game, and in his sophomore/ junior years received 1st team All-Conference honors as an outfielder. Daniel also received All American honors in his junior year. In 2002, Daniel was drafted in the 3rd round by the San Francisco Giants and was later rated as the #2 pro prospect in their organization by Baseball America. He made his Major League debut on Sept. 5th, 2005 and singled in his first major league at bat. Daniel played 9 years of professional baseball, splitting his time between the Giants and Colorado Rockies organizations. Kyle played collegiate baseball at Long Beach State University where he earned 1st Team All-Big West and 1st Team All-American honors. In 1989, he was drafted in the first round by the California Angels (#9 pick and first left-handed pitcher taken in the draft). Kyle’s professional career spanned from 1989-1996 with four years in the Major Leagues and in 1994 he played in Japan for the Kintetsu Buffaloes. In 1991 he led the Pacific Coast League (AAA) in wins and earned the Topps All-Star award for the best left-handed pitcher in minor league baseball. 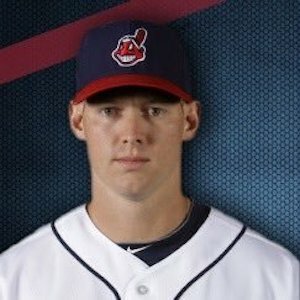 Luke Carlin is currently a Class A manager in the Cleveland Indians organization. A native of Quebec, Canada, Carlin’s passion for baseball paved the way for a Division I athletic scholarship at Northeastern University in Boston, MA as a catcher. Luke’s success on the diamond at NU earned him a 10th round selection by the Detroit Tigers in the 2002 MLB Amateur Draft. Luke made his Major League Debut in May 2008 with the San Diego Padres. In addition to realizing a childhood dream in that first big league game, it was also a memorable moment for Hall of Fame pitcher Greg Maddux who recorded his 350th win with Carlin behind the plate. After 14 years of professional playing experience with 8 different Major League organizations, Luke continues his love for the game by sharing his knowledge with pro and amateur players. 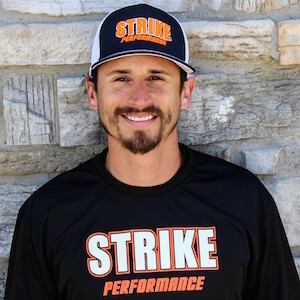 As a result of his ongoing obligation to his professional baseball career, Luke’s involvement here at Strike Performance is mainly during the fall and winter months. 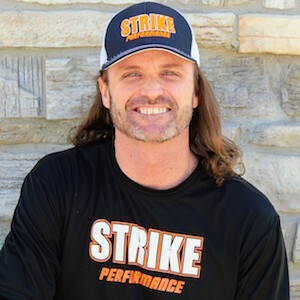 He is a driving force behind STRIKE’s research and program development. Carlin is very passionate about teaching and helping young players become better baseball players, but his vision is to help boys become men of character and integrity that will make a positive impact on the world. Luke is a life-long learner that enjoys fishing, golf, reading and spending time with his wife and 2 daughters. Dennis was inducted into the Austin College Kangaroo Athletics Hall of Honor in 2015. At Austin College, he earned 3-year All-American Southwest Conference, 2-year All-American West Region, and 4-year All-American Southwest Conference Academic Honor Roll. Dennis also set Austin College offensive school records in hits, doubles, batting average and runs scored. Dennis played International Baseball in Europe and Australia, 2008 – 2012, He earned numerous accolades in Europe. 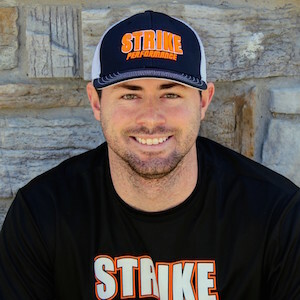 Aaron comes to Strike with great experience in the game both as a player and a coach. Aaron graduated from Colorado Mesa with a BS in Kinesiology and later a Master’s from Sul Ross State in Texas also in Kinesiology. He played for two years at Texas Tech University setting a school Big 12 record at the time with a 1.12 conference ERA his sophomore year. He went on to finish his collegiate career at Colorado Mesa where he was the closer for the nationally ranked Mavericks as they went 45-11 in 2013. 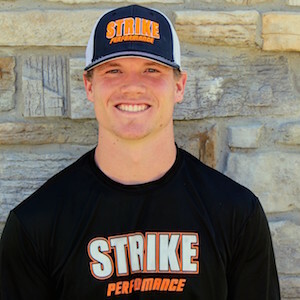 Aaron extended his playing career in the professional Pecos League before moving to the coaching ranks as a pitching and strength and conditioning coach at Sul Ross State. He has a great passion for teaching young players baseball and an educational and playing background that helps create success for young athletes. To schedule with Aaron, visit this site. Born on November July 28, 1995 … Parents are Rob and Linda Sepanek … His father was a sixth round selection of the Atlanta Braves in 1984 and played seven seasons in the minor leagues, reaching the Triple-A level … His brother, Mickey Sepanek, played baseball at Eastern Michigan University … His sister, Kendall Sepanek, played volleyball at DBU … Majoring in Kinesiology … Favorite Bible verse is Colossians 3:23. 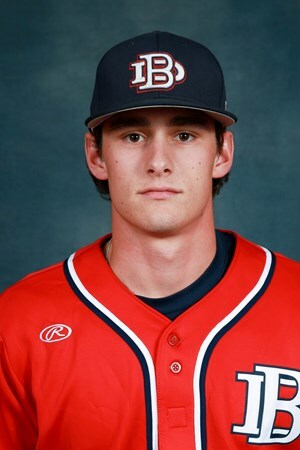 Played in 20 games, making nine starts … Made his debut in a Patriot uniform in the series finale versus Iowa (2/21) on opening weekend … Picked up his first career hit at DBU against Louisiana Monroe (3/19) … Delivered a double and drove in a run versus Incarnate Word (3/22) … Helped lift the Patriots to a win over Lipscomb (4/2) with a double and a run scored … Notched his first career multi-hit game going 2-for-3 with a double against Southern Illinois (4/16). Earned NJCAA First Team All-American honors after hitting .435 with 11 home runs and 40 RBI in 47 games … Named the Conference’s Most Valuable Player after leading the league in batting average (.435) and slugging percentage (.706) … Also tabbed the Region 14 MVP … One of ten players from across the nation in the NJCAA Division I ranks to be named the region’s Marucci Elite Hitter of the Year. Garnered Second Team All-Conference honors after hitting .306 in 41 games … Helped Paris Junior College clinch the Region 14 East Conference title … Named to the Texas/New Mexico Junior College All-Star Game. Erin found yoga in 2012. Since then she has gained both 200 and 300 hour teacher’s certifications in Southlake, TX. Alongside the STRIKE athletes she teaches various styles around the DFW metroplex. In addition to the strength and flexibility Yoga brings to these players, there is a sincere connection of the body, mind and breath that is highly beneficial. Erin is thrilled to be a part of the STRIKE team and looks forward to working with them each season. 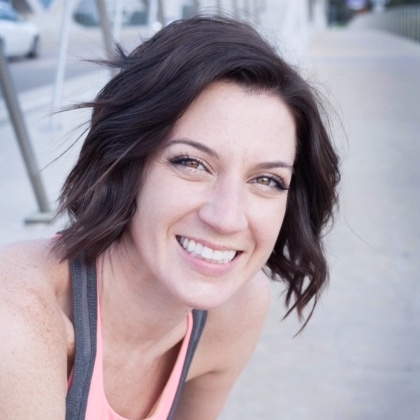 Visit Erin’s website at www.erinprestonyoga.com. Doug Votolato is a Flower Mound Marcus graduate class of 2010. He attended University of Central Arkansas and graduated in 2014. Doug was drafted in the 2014 MLB draft by the Texas Rangers in the 9th round. 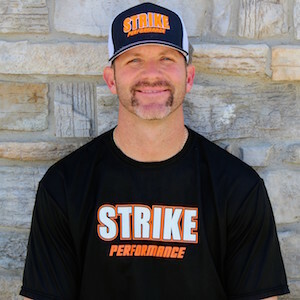 Doug trained with STRIKE PRO in 2015 and now has joined the decorated staff as another premier hitting and infield instructor. To schedule with Doug, visit this website. KJ Alexander came to The Nation in the Fall of 2017. He graduated from Denton Guyer High School, and went on to play 4 years at Dallas Baptist University. He then signed with the New York Yankees as a catcher in 2014 and made it up to their Double-A affiliate with the Trenton Thunder. He and his wife now reside in Lewisville with their 6-month-old daughter, and he works as an area customer operations manager with Coca-Cola. Peter Gonyeau Bio Coming Soon! To schedule with Peter, visit this website. in 2 service environments: Home Health and Outpatient Physical Therapy. design from background in exercise science.